Growing up in a small town, I learned a lot of life skills in my free time exploring the open plains. We would always be doing some type of outdoor activity as that was part of the culture. I, like so many others, grew up in an environment that stressed being prepared for any environment. If something goes wrong when you’re out in the woods hunting or camping you need to be able to cope with whatever comes your way. A good survival backpack could make all the difference for you in that moment of crisis. 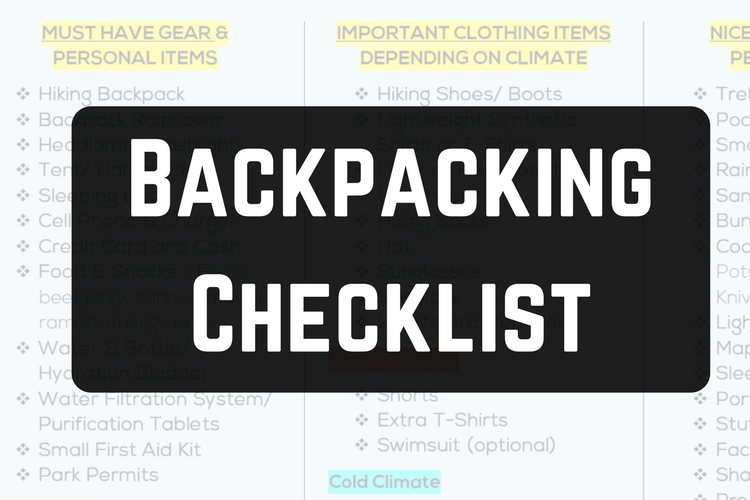 The best backpacks for survival are are lightweight, sturdy, and hold all the equipment you’ll need for the trip. The following list below contains the best of the best survival backpacks on the market today guaranteed to help keep you safe when you need them most. If somebody told me that there was a pack and frame that could carry well over 100 times its 3lb weight, I’d immediately have to call bologna on it, but that is exactly what Tenzing has done with their state of the art survival pack. Made with an aerospace carbon fiber frame with over 11 pockets and compartments, an H2O container, and multiple compression straps help you carry your equipment along with whatever game you’re hunting without straining yourself. Famed bow hunter and long-distance runner, Cameron Hanes claims that this is the best pack for survival on the market today. If it’s good enough for a known avid hunter like Cameron, then I think you could get some great use out of this pack for a weeklong journey. As I type out this list, this particular back is selling at a killer price right now and I suggest you jump on it right away if you need a great pack at an affordable price. Lightweight, with multiple compartments, and a 35-liter water container make this pack roomy and handy enough for any environment. For those of you concerned about style, it comes in 5 different colors. The pack is simple and has all you need for an afternoon stroll to a weeklong trip out in the woods. It was a no-brainer for us to name it our “Best Value” survival backpack choice. Now for those of you that aren’t hunters and just love to hike or campout, this TETON Sports model is a great option for you. It comes at a very reasonable price and has proven to be very durable over time. This is one of the top selling and reviewed backpacks on Amazon due to its low price point and weight of only 4.5lbs. It has a 55-liter container and multi-position torso adjustment to fit any body type whether you are large or small. If you’re going on an adventure for a few days out in the wilderness, then I don’t think this would be a bad investment for you to make. This 5.11 pack was designed for 3-day outdoor trips for people that like to recreationally wander around the outdoors and explore. If you’re in an area that rains heavily, then this a great survival pack for you since both the outside and inside are coated with high-grade water resistance. It can serve as a tactical assault pack to a hunting backpack to a survival backpack if needed. Whatever your need is, this pack has got you covered. The makers of 5.11 guarantee that this pack will last a long time and from what we have seen after extensive meta-data analysis it does indeed hold up over time. Finally, the pack has a nice military look to it and a rough feel perfect for the outdoorsmen in you. To wrap up the list, we have this yet another durable, highly rated survival pack. If you plan on going out in a remote area hunting for a week or 2, then this pack is a great buy. It has 5K cubic inches of space and is complete with a durable rifle holder. This pack can easily be adjusted and has many compartments to carry whatever you need for your trip. Whatever comes your way along your journey, you’ll be ready. What’s the Best Survival Backpack For You? Honestly, you can’t go wrong with any of these top of the line survival packs. Personally, I really like the 5.11 Tactical Rush 72 Backpack as it has a killer look and functionality to it. At a great price, I am sure you will love it too. Mother nature has a way of striking when you least expect it so it is very important that you have the right gear and training to handle whatever gets thrown at you. Be crafty in your approach and confident in your gear and you will find that there is just about nothing that can take you down. Whether you’re going out for a short weekend trip or escaping the real world for a week or two, these packs will more than do the job for you. Take the time and make the investment today. We promise you won’t regret it. Ready To Up Your Survival Gear? Then check out our updated list of the latest and greatest survival gear items on the market today or on the 5 Essential Military Survival Items.